Each one of us is required to focus each day, whether you are a CEO or a child. Look into the eyes of a CEO taking a critical financial decision for the company, then look at the eyes of a child playing a puzzle, trying to fix each piece correctly. The only difference is, you will see stress in ones eyes with focus and happiness in the latter. So day in day out, whenever we day dream or get lost in something else, how many times do you tell yourself, ‘Focus’, ‘You need to focus’. Difficult, isn’t it? Trust me, even writing one piece requires focus and as long as it takes to focus, it slips away so easily again. There is one beautiful way to build this habit within you. Set out time everyday to do something you love. Be it to read, to watch the sky, watch the clouds, cook, even sleep. How does this help, you may ask. Psychologically, your mind wanders because you don’t like what you are doing, you have too much to do and are overwhelmed, or really feel like doing something, but you don’t have the time to. Well, if you have too much to do, get organized ASAP. Make a checklist, or to do list and start checking off everything you’ve done. Having a list in front of you helps you complete a task timely, and that feeling out ticking it off, it’s beautiful. Now things you don’t have time to do are usually your hobbies, things you love so much, but studying and working consume your life. Balance plays a huge role here. Start with just 15 minutes for yourself. Pick a book and read just one page, you’ll increase gradually. You will never have difficulty on focusing on such tasks, its tuned in your brain as a desirable activity and you will be able to go on and on. 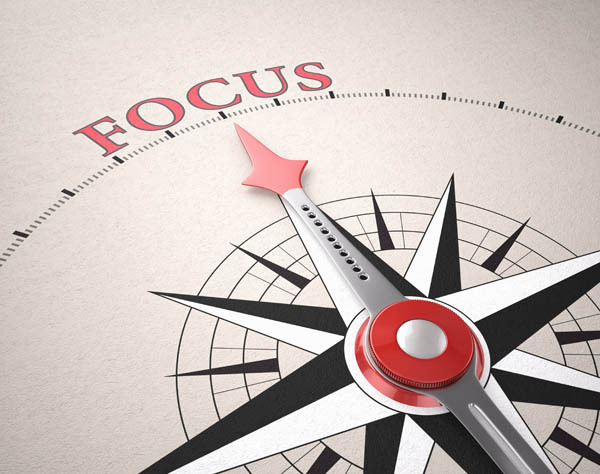 When you are building focus, your developing a habit. And with time, you’ll have also built willpower. Great, isn’t it? This does not happen over night. It takes tons of practice and daily doing. You may feel like procrastinating someday on a task or just sit around, but don’t. That CEO whose eyes you could see focus in did not come in one day, it took years and a lot of persistence to achieve. When you are focused, you will see your end goal and work towards it. And once you achieve it, you will develop a new end goal, and the cycle of achievement will go on just because you are focused.